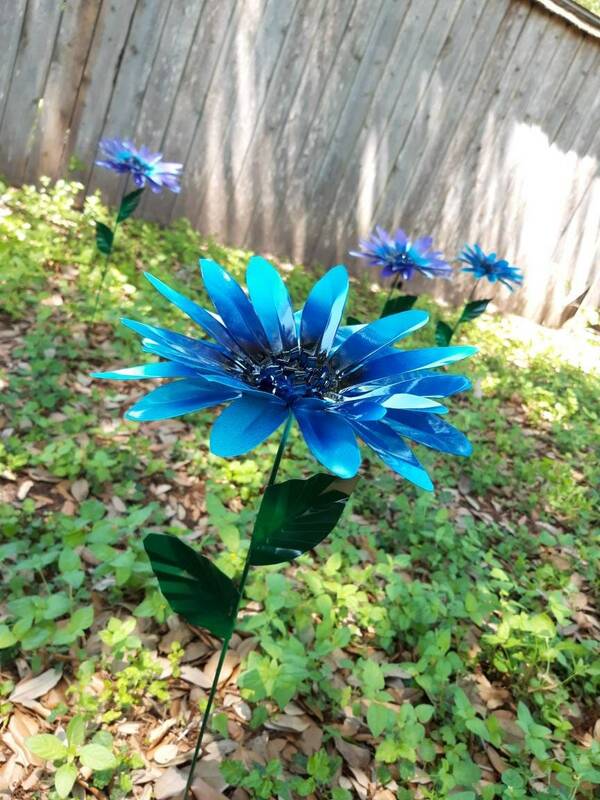 Gave my metal daisy flowers a bit of an upgrade! For this design I took my classic daisy and added a few more details to create a more natural look. 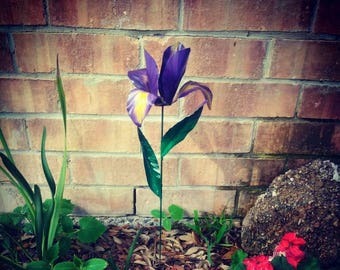 Standing at about 22inches tall. Flower diameter 7 inches. Made from a thicker sturdier metal. 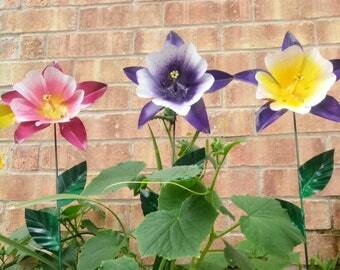 This flower does great in the sun, rain, and snow!